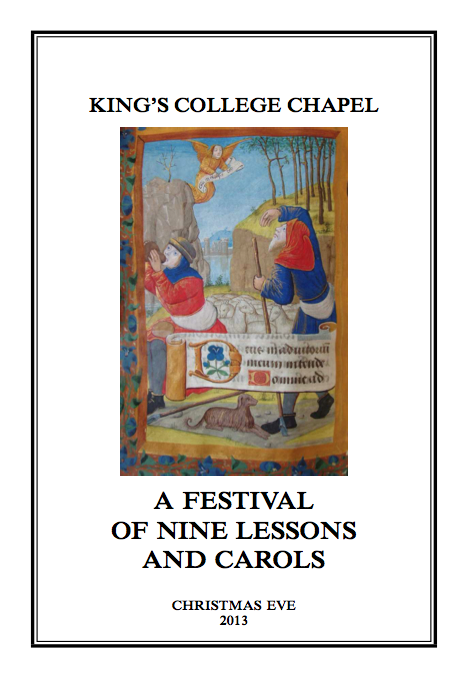 “A Festival of Nine Lessons and Carols” will be broadcast live on Christmas Eve 2013 from the King’s College Chapel, Cambridge University, Cambridge, England. It starts at 8:00 a.m. Mountain Standard Time (10:00 a.m. Eastern). That’s 3:00 p.m. (15:00) in Great Britain. Construction on the King’s College Chapel, which is 50 miles north of London, began in AD 1446. You can listen to streaming audio over the Internet on either BBC Radio 4 (click the Listen button) or Classical 89. If you live in Utah, listen to the live broadcast on Classical 89 radio (FM 89.1 in Salt Lake County and 89.1/89.5 in Utah County). The order of the 90-minute service follows. You can download a 52-page booklet for the service. The program varies each year as a new musical piece has been commissioned annually since 1982. Here's a link to the 2007 archive. Thank you for sharing the link. Merry Christmas.